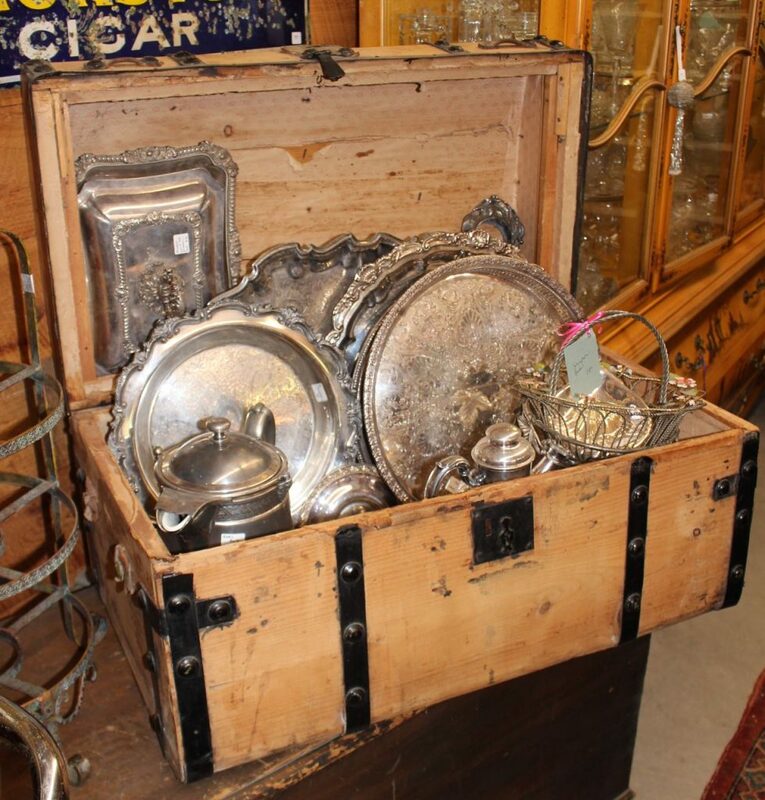 We have a trunk full of old silver plate trays, bowls, flatware & serving pieces! There’s nothing like a little bit of silver to sparkle up your decor! Prices vary depending on condition.